Grzegorz Proksa is a world-class middleweight with plenty of skill and more than enough heart, but he proved no match for Gennady Golovkin. Golovkin retained his World Boxing Association middleweight belt Saturday on HBO in a statement-making performance at the Turning Stone Casino Verona, N.Y., stopping Proksa at 1:11 of the fifth round. Golovkin (24-0, 21 KOs) was everything trainer Abel Sanchez said he'd be – and more – in winning his American debut. He was amazingly composed. He was extraordinarily powerful. And he proved himself to be spectacularly good. The only bad thing to come of his performance is the reality that the big names in the division aren't going to be chasing him down. Get ready to hear promoters of well-known middleweights wail that Golovkin is an unknown and will need to fight on television a few more times before their guys will take him on. That will give them what they think is cover to essentially duck him. 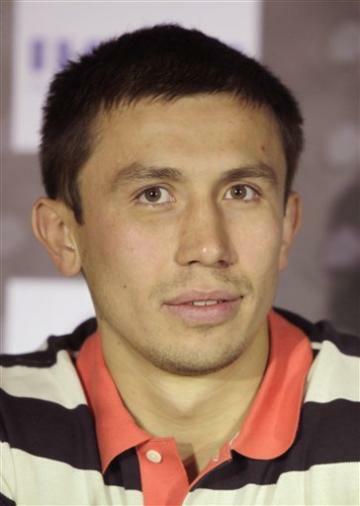 A silver medalist at the 2004 Olympics, Golovkin very well might be the best fighter in a suddenly top-heavy division teeming with talent. Julio Cesar Chavez Jr. and Sergio Martinez will fight for Chavez's World Boxing Council belt on Sept. 15 in Las Vegas and unofficial recognition as the world's top 160-pounder. But it’d be high praise to say either of those men is clearly better than Golovkin. The Kazakhstan native delivered withering shots to the ribs that left Proksa grimacing in pain. Proksa himself showed very good skills and appears to be a fighter of note in the division, but he simply was unable to keep Golovkin off him. He showed the finishing ability that so many young fighters lack. He was patient and kept his composure whenever he rocked Proksa, which was often. He knew how to put his punches together and instead of wildly flurrying, he threw smart, effective and rib-crushing combinations. Golovkin dropped Proksa in Rounds 1, 4 and 5, with the last two the result of body shots. The first came as a result of a hook to the head. HBO had better be looking to get him back on the air as soon as possible. This is a guy who can make compelling fights with the likes of Dmitry Pirog, Daniel Geale, Chavez and Martinez, among others. He said he'd fight anyone from 154 pounds to 168, though he has the classic middleweight body and seems at his best at 160. A television audience which had to sit through a joke of a bout between Jonathan Gonzalez – who on Friday embarrassed himself by missing weight by nine pounds – and Sergei Dzinziruk, was given an unexpected treat by Golovkin's performance. He's got a long way to go and guys like Martinez, Chavez, Geale and Pirog are a step up from Proksa. But Golovkin wanted to put on a memorable performance in his American debut, and he did just that. It's suddenly starting to feel like the 1980s with all of the good middleweight bouts that can be made.